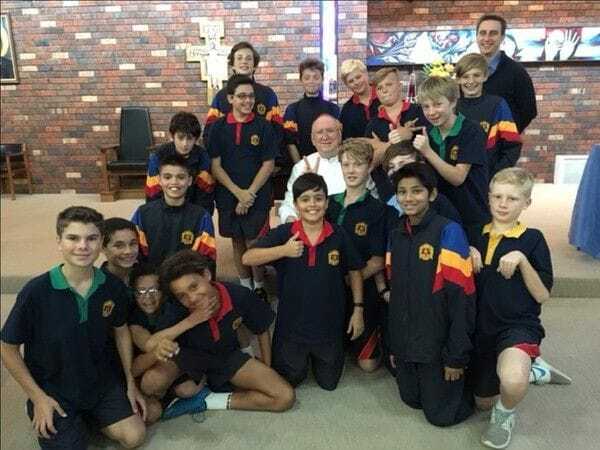 United States De La Salle Brother Br Jeffrey Calligan has a natural affinity with Australia, nurtured through an eight year stay in Melbourne which only ended two years ago. Br Jeffrey played a pivotal role in the success of Lasallian Education Services from 2006-2014, well known for its innovative online delivery of formation programs under the leadership of Mrs Trish Carroll. Br Jeffrey is also well known to many Lasallians in our District for his contribution to the Buttimer formation program in the United States where he has been a teacher to many first year students. He therefore relished the chance to return to Australia in May and June and received a warm welcome during visits to Lasallian schools and Brothers' communities across Victoria, New South Wales, South Australia, Queensland and Western Australia. Along the way, he compiled a daily blog about his visit- "From the Land Up Over", sharing insights into Lasallian education in Australia with teachers back at De La Salle High School in New Orleans- a school where he served as Principal for ten years. During a visit to the Provincial Office in Sydney near the end of his trip, Br Jeffrey praised the great work he saw across schools and other Lasallian workplaces during his visit. 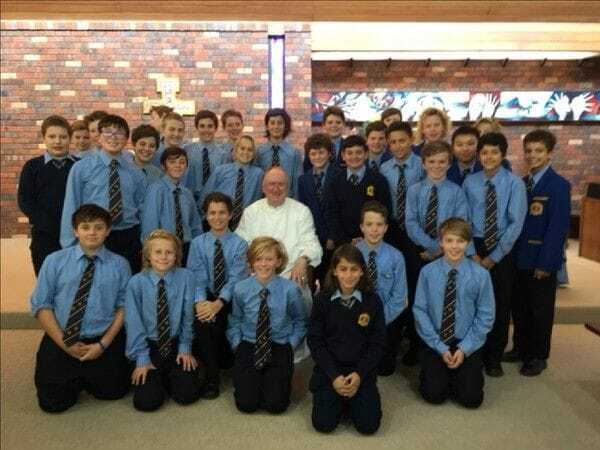 "I always tell the students here in Australia- that they should really appreciate how fortunate they are to grow up in his great country", Br Jeffrey explained. "I see so many great signs here that we are indeed becoming a Lasallian Family, rather than a Lasallian Institute with so many Lasallian partners keeping the charism alive in the schools and workplaces", he added. "Our challenge as De La Salle Brothers is to ensure the Lasallian partners have a firm grip on the whole ethos of what it means to be a Lasallian and they can then carry that on". Br Jeffrey believes the Buttimer Institute for Lasallian Studies program has been able to play a key part in that work over the past 30 years. Under the program, Lasallians from around the world converge on Moraga in California for an intense two weeks of study in June and July, aimed at deepening their knowledge of St John Baptist de la Salle, while engaging in community with Brothers and Partners. The program is run over three stages, allowing Lasallians to deepen their understanding of the Charism over a three year period. "Early on, there was a misguided view that if you championed the lay partners, then you were cheapening the work of the Brothers, which of course was absolute rubbish", he said. "The laity are the Church and I believe Pope Francis is providing strong leadership in nurturing a dialogical Church which moves away from the rigid hierarchical structures of the past". Br Jeffrey said he particularly admires the creativity and the innovation shown by generations of Lasallians in our District, especially through yourtown and Kids Helpline. "Br Paul Smith was not afraid to be counter-cultural when he set up Kids Helpline 25 years ago", Br Jeffrey said. "He had the foresight to urge Lasallians to look beyond schools in our mission and the model he set up has only flourished from there", he adds. "There is a clear lesson there for everyone- that we all need to look outside the square sometimes and have the courage to be innovators".